What is the doctrine of Spiritism? Most of us have heard of Diogenes, the philosopher, during the time of Socrates and Plato, about 300 years before Christ, who rejected material goods and was reported holding a lamp looking for one honest man in the city of Athens. 14. Is it true what they say about your interview with Alexander? Very true. History has even truncated it. I refer to other conversations between the two of us. Do you really think that he came to see me to tell me one word only? 16. Is the statement attributed to him true that if he were not Alexander he would be Diogenes? He might have said that but not in my presence. 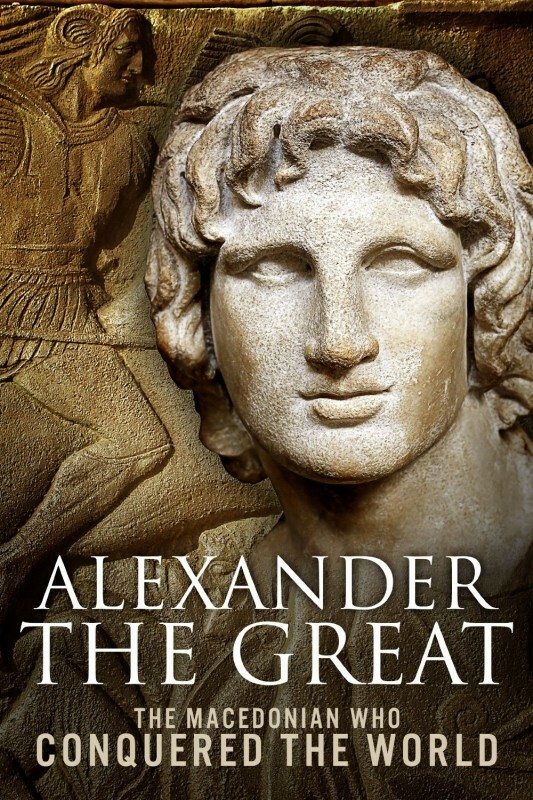 Alexander was a crazy, vain and proud young man. In his eyes, I was nothing more than a beggar. How could the tyrant be educated by the miserable? 17. Have you reincarnate on Earth after your life in Athens? No, but in other worlds. I currently belong to a world in which we are not slaves. It means that if you were evoked in a state of vigil you could not attend the request. As I do tonight. 18. Could you delineate to us the qualities that you were looking for in man, how you conceived it then and how you conceive it now? In the past: courage, boldness, self-confidence and power over people by intelligence. Now: abnegation, kindness and power over people by heart. There are two significant revelations in the spirit communication above. First is when Diogenes says he lives in a world where people are not slaves. This sounds to me like a remark made to a college freshman, who is regulated when he or she can enter or leave the dorms from a person who has graduated and moved on. I believe this short sentence from Diogenes perfectly illustrates our plight on earth. We are students, closely monitored, with little freedom of action, during our required period in our school of life. Once we are done with our mandatory training, we will be given the luxury of increased freedom of movement. We will be trusted citizens of the spirit universe. The second important statement is Diogenes’ refactoring of his original list of qualities, from courage and boldness to abnegation, a rejection of the glory and riches that quickness of action and power over people brings us. Power from the head is replaced by motivation from the heart. All central to the principles of Spiritism. Learn more about Spiritism, in my book, 51 Disclosures from Spiritism – The 3rd Revelation. Discover what the spirit world is telling us, about ourselves, our planet, and our future. People wonder do we have many families, mothers, fathers, and so on as we travel through multiple lives. How do we manage having a menagerie of relatives while in the spirit world? The answer is we don’t; read on and find out why. Read More. I have created an Amazon Kindle and a paperback book which covers the basic principles of the Doctrine of Spiritism. I have set the lowest price available ($0.99) on Amazon Kindle so anyone should be able to download the book on their reader. I wrote the book because when my wife and I first opened our Spiritual Center on Bainbridge Island, WA, I was amazed that people were interested in Spiritism, yet had absolutely no knowledge of it. Also, if you think it is useful, please leave a good review at Amazon, it will help to get the word out! I also have this book in PDF format on the Facebook site – Spiritism and the Spirit World Around Us, in the files section. Patience is my least developed attribute. I have been told that in messages from the spirit realm. While I have plenty of impatience, which for some reason doesn’t make up for my lack of patience. I have always wanted what I wanted now and had no desire to wait … therefore I forced events so I could grab what I desired. I have since learned this was to my detriment. Read More. The phrase “hope in action” could be described in various ways. At the most basic level it implies forward movement with faith in future results. It is a picture of a cavalry charge; lancers or armored knights valiantly attacking a position with certainty of victory. It is what all of us have longed for – a purpose, a goal beyond ourselves, an exalted resolution to achieve greatness … for the benefit of all mankind. What many of us don’t realize is; that is exactly why we are on earth. The attainment of spiritual victory – for ourselves and humankind. Each person who serves as an example of goodness over a wasteful life is a shining beacon which lights the path to ascendance for others. Read More. “When the Master applauded persistence, he was referring to the arduous task of those striving for excellence on the spiritual path.” Read More. The transfer of energy from one being to another is the essence of a pass, as it is known in Spiritism. Passes revitalize our Vital Fluids so we may be stronger to face our daily trials. For if we don’t place ourselves in a balanced state, we have less control over our emotions and our body is less able to heal itself. Read More. Beginning in the remotest ages with primitive tribes there has been a recurring theme of our destiny being guided by supreme powers. The Old and New Testaments actually tell of events being managed by God. Allan Kardec published the Spirits Book which for the first time started to reveal the extent the Hand of God plays into our past, present, and future activities. The books psychographed by Francisco C. Xavier expose some of the exact processes by which we are directed. This article collects together and describes the tools by which the Spirit world pushes and pulls the levers and sets the dials to manipulate the human race to achieve their desired results. We have a channel on YouTube – click here to see what has been posted. We also have a BitChute Channel where we post all of our videos. Click here to subscribe to our ButChute Channel. Sara A is an interesting case. She hit her head, after overdosing on different types of medications and woke up a changed woman. She remembered, via lucid dreams what she experienced while she was unconscious, but she didn’t have the usual all in NDE white light type of experience. Read More.